The Lovely Holly from The Yummy Mummy's Beauty Blog hosted a lovely blogsale earlier this week. And I stumbled onto her blogsale via twitter and was shocked that she had up Hello Kitty's Cute Ster for sale for £7! showing his MAC Hello Kitty Haul and i fell in love for Cute Ster! and to buy it atm on Ebay is ridiculously priced! 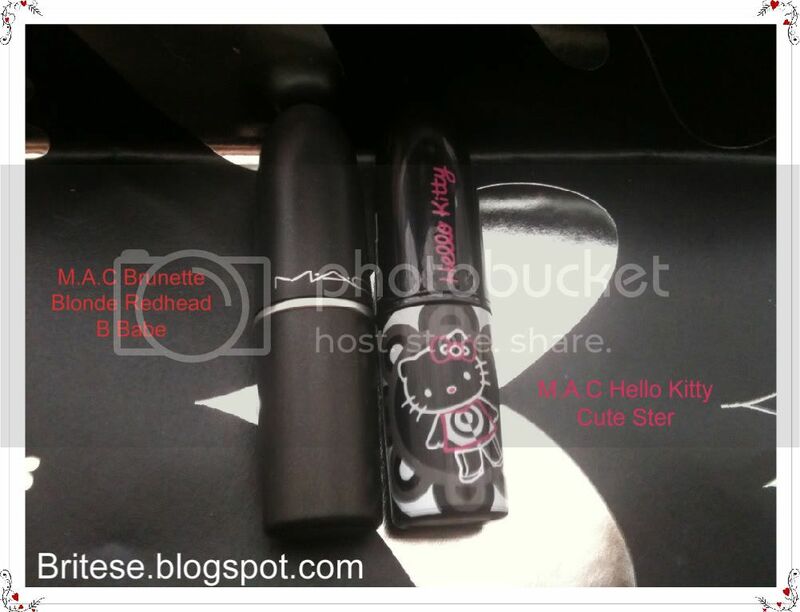 Hello Kitty's Collection for MAC is unbelievable cute and adorable.. and i gotta say the engraved kitty in the lipstick makes me not want to even use it! but i will! just not that often haha.. 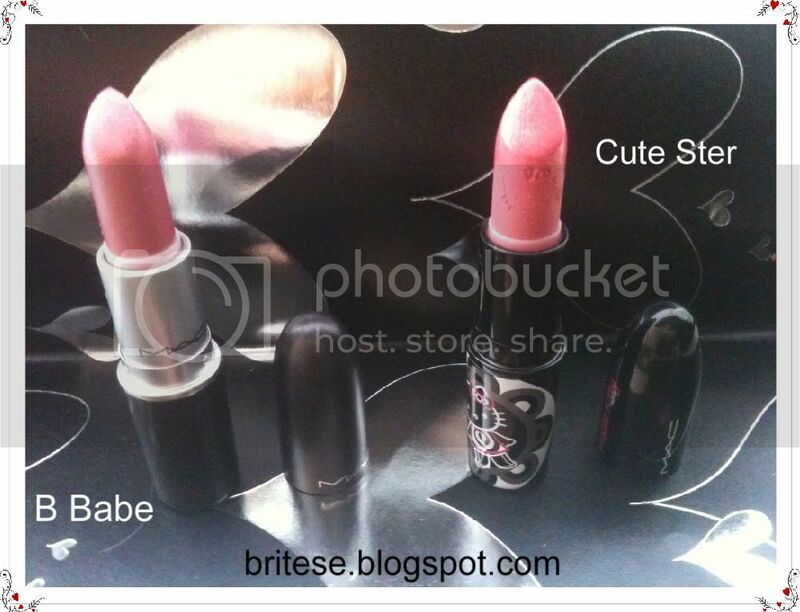 Cute Ster is a lustre finish not too opaque but just enough coverage over the lips with a gorgeous peachy pink tone its one of my fav lipsticks from MAC and also been my most wanted since they came out! B Babe has that sparkly effect.. its a frost which has that dazzleglass glittery finish which looks amazing with the pink toned lipstick itself. I've been juggling between pinks,nudes,corals all summer and these are added to my lipstick stash thats growing by the minute. All the MAC Lipstick i own atm i've noticed are all creamsheens so im glad to be trying out lustre and frost finishes. It's nice to try out the different finishes MAC have to offer. 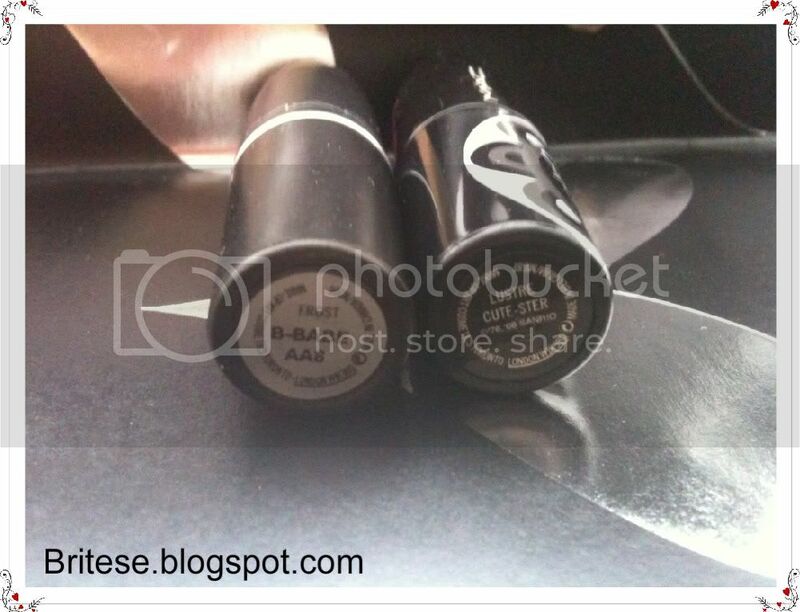 difference between these arnd my other MAC lipsticks. Have you got a lipstick you've been meaning to get ever since the beginning? What other MAC lipsticks do you recommend? I love your blog! I'd love to feature you on my blog! I developed the idea for "Featured Followers by Elle© " & this is how I promote my followers. But it helps them increase traffic to their blog & allows other followers to learn more about the blogs that I feature. If you're interested my blog is at www.edkdolce.blogspot.com.